March 23, 2019 is a symbolic date for French energy. At this date, France crossed the course of "Grey Day": the day when the annual production of renewable energy is exhausted. In contrast to being a pessimistic sign of resource depletion, Gray Day 2019 highlights the progress of ENRs in France. In one year, the country has gained 15 days of energy autonomy in addition. Gray Day is inspired by the famous Day of Exceeding, when humanity spent all the global resources produced in a year. The same calculation can be done on the production of ENR. In this case, Gray Day marks the date when annual renewable energy production is exhausted in a country. 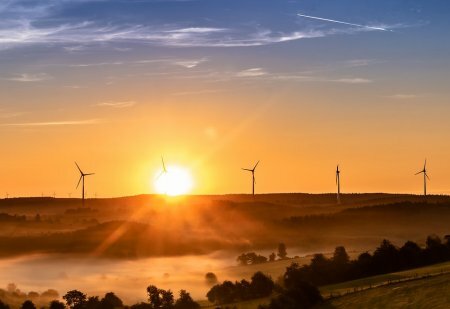 Green energy provider Ilek used the 2018 energy balance figures published by RTE to calculate France's Gray Day 2019. This year, he spoke on March 23 at noon. At this time, the electricity consumption has exceeded the production capacity of the ENR for a whole year. This calculation indicates that France has 82 days of energy autonomy thanks to renewables. This equates to 22.7% of its annual energy consumption. Ilek observes: "If all the French consumed a 100% renewable energy since the beginning of the year, this Saturday would be the day when we would have exhausted our stocks." What is there in the "gray energies"? The so-called "gray" energies refer to conventional energies, as opposed to green energies. There are, of course, fossil fuels, such as oil, coal and gas. Due to the energy transition, their share is expected to decline further in France in the coming years. The year 2022 will be a decisive year for gray energy in France. But gray energies also include nuclear energy. Although the atomic industry produces decarbonated electricity, it has a hard time winning in the green energy camp. However, the work of the IPCC (French GIEC) indicates that the progress of nuclear power can help decarbonise the electricity mix.